If you are like me, every time you receive and ARC is time for a happy dance. Of course since I'm an international blogger and my blog isn't very well known, I don't receive physical ARCs and my Netgalley and Edelweiss requests are usually denied. So, that's why when I receive an acceptance e-mail, it's always time for a happy dance. Anyway, all this leads to one question: how sincere can your review of an ARC be? When you receive a book from a publisher do you feel the pressure to like it and to write nice things about it although you kept rolling your eyes through the story because you thought the main character was an idiot? I would be lying if I told you I have never felt the pressure to enjoy a book because it was sent to me by the publisher or author -especially since I'm a small blog; I always fear the publisher will never accept my requests again if I say something negative about a certain book. However, after questioning myself and my beliefs, I realized that I rather be sincere than fool someone. But why am I discussing such a topic today? I'm discussing it because I had nothing good to point out about a book I recently received, read and reviewed -the review has been sent and I'm hoping my name is not engraved in some sort of reviewers blacklist. To tell the truth, I always try to find the silver lining (it may be the writing or the worldbuilding or the characters) as I understand how difficult is to write a novel and have courage to share with the rest of the world -for that reason everything I've written so far has been hidden in a undisclosed location *just roam through my drawers and you may find something* But, I couldn't find anything good in this book! As a principle, I always read a book until the very last page - I find very unfair when people rate a novel with one star without finishing it -, but the silver lining just wasn't there. After finishing this book, I visited Goodreads and I saw that many people were giving it four and five stars. But then I noticed all these stars were being given by people who had received a copy in exchange for an honest review. And it made me wonder: did we read the same book? Or am I simply evil? Or are readers simply writing wonderful reviews and giving it al the stars because they received a review copy? In this situation, I decided to go with number three since, as you can see if you visit my Goodreads page, I don't need much to love a book. All I need are good characters, a very well woven world and beautiful writing. That isn't much, right? Okay, maybe that's too much...Well, I don't need much to rate a book with three stars, then. As I said, I always look for the silver lining and that is what I point out in my reviews. Also, I decided to go with number three because a character was firstly introduced with a name and three pages later had another one...and three of the characters pretty much shared the same personality! Some readers praise ARCs so much that they don't give the author the opportunity to improve her/his writing. And wordbuiling. And characters. A debut novel always will have some flaws and if they aren't pointed out those same flaws will be found in the later books the author publishes. Just take a look at Leigh Bardugo's first book, Shadow and Bone. I read Six of Crows before Shadow and Bone. It did take me sometime to go through the pages of Shadow and Bone because the writing was not as fluid as in Six of Crows. Because of real reviews, Leigh Bardugo's writing evolved a lot since she published her debut novel and today everyone loves her and her novels because they have the three most needed ingredients: amazing characters, eerie worlds and flawless writing. If authors want to grow, they must accept the negative criticism in the same way they accept the positive. I rather speak the truth, to tell how a book really made me feel (but without bashing) than look at it through tinted rose-tinted spectacles just so that I can keep receiving ARCs or e-ARCs. A review should be fair for both the writer and the readers who will be picking up the book next. It's not right to deceive anyone to please a publisher in hope someday they will send you a physical ARC and you can brag about it. Or throw that secret party you have been planning since the day you discovered publishers send ARCs to readers. So, how sincere are your reviews? Thank you for sharing your opinion and liking the discussion topic. :) It's a lot better being the black sheep than deceiving people for your own gain. I would feel so bad if I recommended a book I found awful. But sadly many readers feel they have to share a not very truthful opinion because of the publishers. BTW, which country are you from? I don't think they have blacklists :DD I think you're fine! Hi Evelina. Thank you for following my blog. :) I'm from Portugal. I saw that you are from Lithuania, right? Europe ROCKS! =P Btw, your blog is gorgeous. I'm so happy I found it. I don't believe bloggers that rate every book 5 stars. That's just not possible. I often read the 3 and 4 stars reviews first to figure out if I would like the book or not. An average rating in my eyes is more believable than the over the top reviews. Because of that I rarely rate books 5 stars. Because it takes a LOT for me to rate a book 5 star. But I also noticed that the hyped books often turn out to be flops for me. 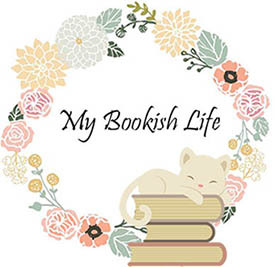 And sometimes my blog partner and I are on very opposite ends of the rating and I believe her most of all since we often talk about the books we read. With that said, taste plays a huge role in rating and sometimes it just doesn't match with mine and I'm fine with that. I started not to review or even note on GR if I DNF a book. At the end it won't help anyone since it's again me either being in a foul mood, book slump or just not feeling it. But that's just me. And we decided to feature only the books on the blog that we really liked and loved. We want to be able to gush and recommend books, so the reviews on our blog will reflect those high ratings. I treat all books I read in the same way. I am more apt to write a shorter review for a non-review book, but I still am fair and honest. I try to be kind whenever I am reviewing, because that is someone's heart and soul there, and I think there is a nice way to say if there was something that did not work for you. I do not review DNFs on GR or my blog, because I don't think it's fair to judge a partial book. It could have gotten better, how would I know? I do give my feedback to the publisher, though, as to why I did not finish the book. I think most reviewers are honest, and I don't think you get blacklisted, because I have seen scathing reviews from some bloggers, and they still get all the books. Now recently I wrote a review for an eARC I received as I was surprised how biased I felt, not because it was a free ARC but because it was an author that I liked. It was hard for me to be critical about this book because I knew how good her other ones were! I don't think it's fair if you don't review a book honestly, whether it was received for review or not! What I generally do is if I have a negative review for a book I was given as a review copy, then I just don't publish the review on my blog. I'll put it on Goodreads and send it to the publisher/author so that they have the feedback but I don't advertise that I hated the book on my blog. Authors and publishers do understand that not every book is for every reader and that's just that. As far as I know there's no 'blacklist' for negative reviews and I've personally received books from publishers even though I haven't sent in positive reviews of previous books!